Autumn is my favorite season. Iceland is my favorite country. Waterfalls are my favorite reason to hike. This day had perfection written all over it! Our first weekend living in Iceland I decided that we needed to check off one of the things we had to unfortunately skip when we were here last year. I’m SO glad we made the time to hike to Glymur – it was definitely worth the trip! Glymur is a short drive from Reykjavik and about a hour hike back to see the falls. Known as Iceland’s highest waterfall at 198 meters, Glymur is a stunning sight to see. My favorite part about this day was that every.single.part of the trip was beautiful! The drive through Hvalfjordur is one of the most beautiful fjords in Iceland. It’s name literally translates to “whale fjord” as it is the site of the local whaling station. However, some years ago an underground tunnel was built which connects land and cuts off the fjord. Great for traveling long distances north, sad to miss out on this picturesque place! If it’s a relatively clear day and you decide to take the long route, I can promise you it will be worth the views! If you are planning to venture the hike to Glymur, I would allot about 2.5 hours starting from the parking lot. We did the hike in 45 minutes, and spent a lot of time at the top staring in awe and taking a lot of pictures. This is definitely something you can take your time doing, or stop on the way to something else. The beginning of the hike is pretty easy, lots of nice easy FLAT trails, and of course beautiful nature! Since this is our first weekend in Iceland and we are LOVING the change of pace in weather, I’m basically skipping along during this part of the hike – loving every breath of fresh air and the sight of big mountains surrounding us! Not to far into the hike, you will come across a stream. When you come across a stream in Iceland, it is imperative that you stop and drink from it! No iodine tablets or water filters necessary…just pure melted glacier goodness! I get really happy about drinking deliciously fresh cold mountain water. About half way into the hike you get to this huge cave which is normally nerve-racking for me because I am claustrophobic, but was thankfully very spacious. READ MORE: Driving in Iceland | Do NOT do these 5 things! It doesn’t look that bad from this picture but you honestly have to watch your step! The water is flowing kind of fast and there are definitely certain rocks that you don’t want to step on for risk of slipping! And then you get to the log – thank goodness for the cable to hold onto! Bobby is making it look too easy…guaranteed he is concentrating really hard trying not to fall in! The next part of the hike is a little bit more challenging. So challenging in fact that I forgot to take pictures of it. Let’s just say proper hiking shoes and caution is needed! Parts of the trail get really steep, and you have to hang on to cables and chains to not slip or fall. Don’t worry, this part is short and the views at the top will be worth it! Classic Iceland, jam packed with every possible beautiful landscape: jagged cliffs, streams, mountains, and the ocean! I always like to walk to the edge of things…so I walk to the edge and celebrate how beautiful it is! Then just stand there and take in all of the beauty. 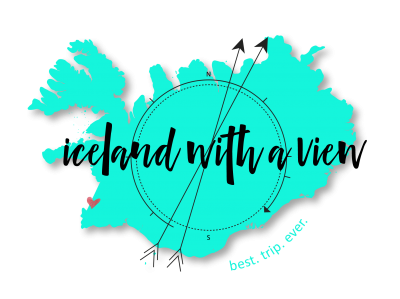 We had an helpful Icelander with us who gave us awesome history and geography lessons the whole way up – I love learning about Iceland! He also brought his tiny dog with him who was the best hiker out of all of us. He did pay the price though…he couldn’t walk for the whole next week from sore doggie muscles! Whether you live in Iceland and have never ventured inland from Hvalfjordur, or are visiting Iceland and wondering where to go for a beautiful day hike, I would highly recommend adding Glymur to your to-do list! Question: Will you add Glymur to your Iceland hiking list? Is this hike recommended during mid-April (17th-20th)?? April should be a great time to hike Glymur! How’s this hike in January/February? I’ve never done it in Jan/Feb Melissa sorry! Might be a little difficult with all the snow. Hi Jeannie, I love your website! I’m visiting Iceland November 20-24 and your site has been so helpful in my planning. I would like to do this Glymur waterfall hike but I’m not sure how to get there from Reykjavik. The scenic route looks great, but we won’t have a GPS. Could you tell me how to get to the Glymur waterfal and how long the drive is? Hey Gina! 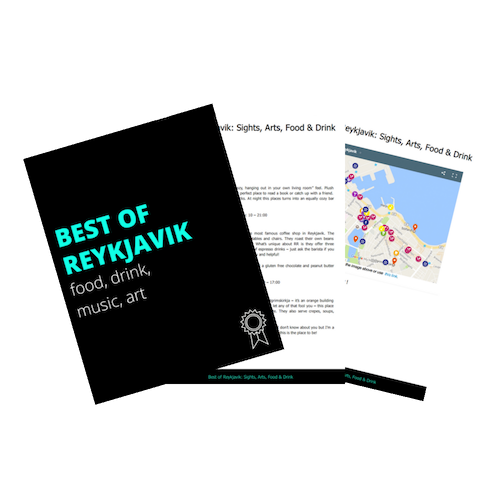 So glad I can help with your trip planning 🙂 I just added a map to the Glymur blog post. The “long way” through the Fjord is actually the only way to get to the waterfall hike! It’s still only an hour drive from Reykjavik. Have a great time! Haha, I know that dog was such a trooper but he couldn’t walk for a week afterwards! Do you know if this hike still accessible in late October? or only in the Summer months? Hey Alexandria! Yes this hike is available in late October. At that time there is a slight chance snow will be on the ground, but it will be light. Good luck! Do you have the name or recommendation of a guide for the hike? Beautiful! I’ve been so jealous and traveling back to Colorado as often as I can to try and get views like these!